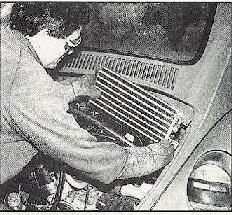 Yes, you can install A/C into Your Bug, bus or Ghia thanks to I.C.E. ABOVE, the I.C.E. 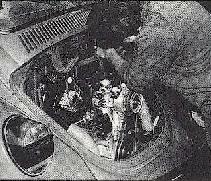 under-the-dash evaporator fitted on a '96 Mexican-built Beetle. 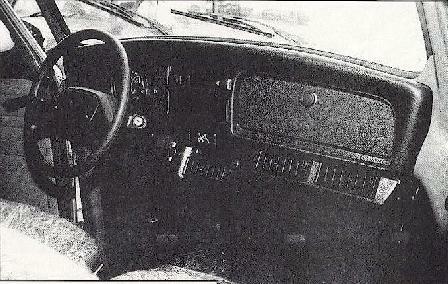 Notice how the vents are mounted the full width of the unit. 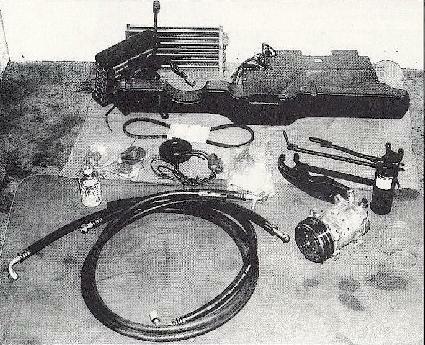 LEFT, the complete VW Beetle A/C unit from I.C.E., including detailed instruction. ABOVE, two holes must be drilled out, as shown, to allow for the two high-pressure lines to pass under the car and forward. 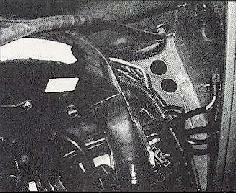 BELOW, the secondary condenser is mounted on the rear engine firewall with self-tapping sheet metal screws. Right, by removing the rear deck lid and air box, it makes it much easier to work on the engine and related parts. It is not necessary to the engine for air conditioner installation.